I’ve been following Rec Tec for a long time, ever since I got into the delicious flavor and convenience of wood pellet cooking. A friend of mine wouldn’t shut up about the quality of Rec Tec’s grills and the accuracy of their smart grill controllers that maintains the temperature of the cook. Not only do Rec Tec’s grills perform like beasts, they also look like them with really cool bull styling. Rec Tec uses bull horns as the handles to lift the grill door and has a bull nose ring that’s used as a towel hook. 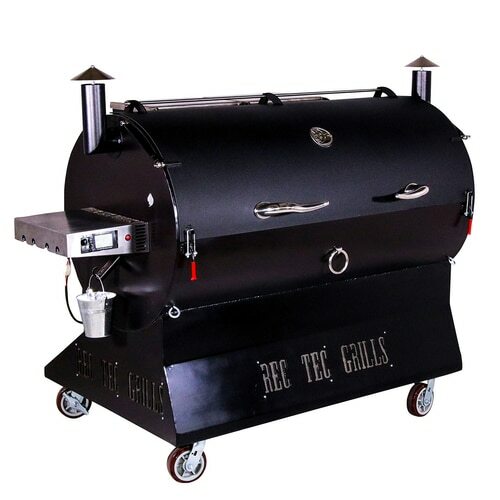 Check out all of the reasons Rec Tec grills are a bull horn above the competition: The Rec Tec Difference. The first of Rec Tec’s new grills is an exciting departure from their typical pellet grill style. 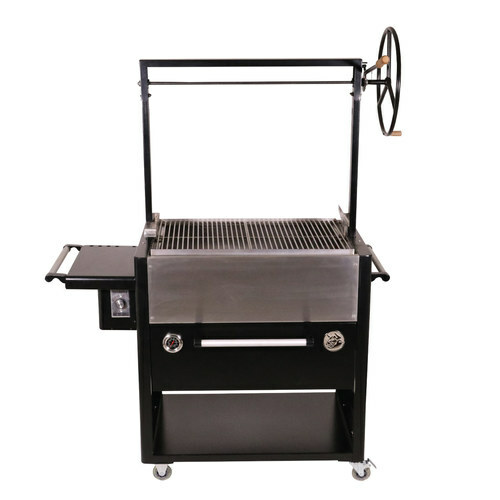 The Wyldside RT-A850 is an Argentina style grill that’s built for direct flame grilling. 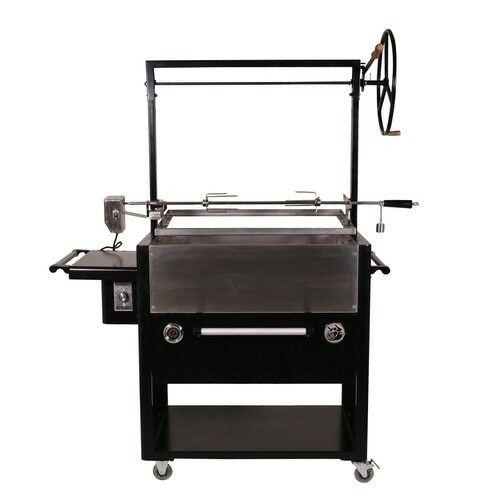 It has a stainless steel cooking chamber, powder coated steel body, and a stainless steel lid to protect your grill from the elements when not in use. 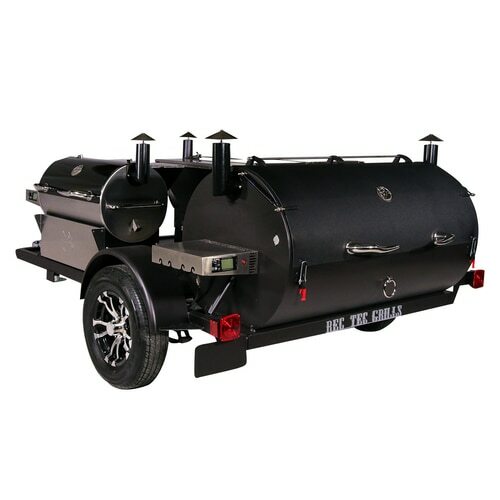 It has a variable speed blower fan to help you adjust the strength of your fire as well as an electric rotisserie motor with stainless steel spit rod to keep your food turning over the open fire. The grill is operated by setting fire to wood logs inside the cooking chamber while your food is elevated above the fire on a rotating spit. You can control the intensity of the cook by changing your food’s height above the fire with a crank wheel. Proving Rec Tec thinks of everything, they even include a warming drawer with temperature gauge, large bottom shelf for storage, 7 snag-free tool hooks, and 5 accessory holes for storage. This looks like a delicious way to cook for open fire enthusiasts! The Wyldside is set to ship in May, 2019 but preordering now at $1,699 will hold your place in line. Next up is the BFG RT-2500 wood pellet grill. BFG stands for “Big Freakin’ Grill” because it has 2500 square inches of grill space. 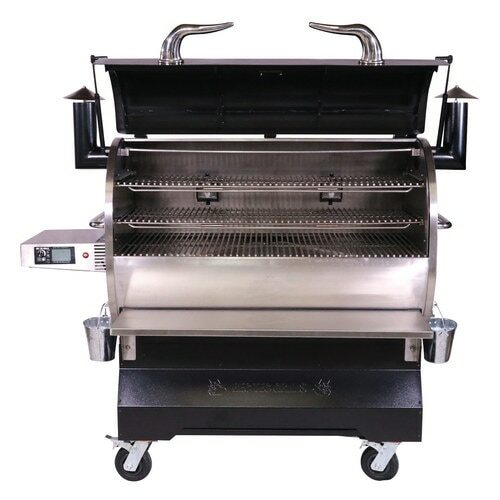 It has all of the features Rec Tec fans have gotten used to in their higher-end grills. The BFG features Rec Tec’s Smart Grill Technology Controller, Wi-Pellet Wi-Fi technology which allows you to control and monitor your cook remotely, automatic lighting and shutdown, dual meat probes, a low setting to maintain temperatures around 200F and a full setting that allows you to achieve temperatures over 500F. 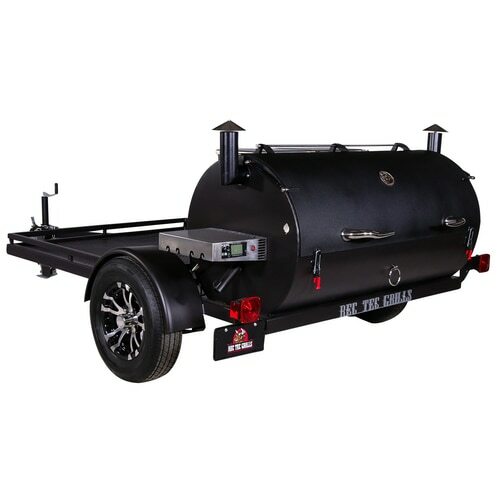 As always, you can expect Rec Tec’s famous quality construction, featuring stainless steel cooking chamber, 53 lb hopper capacity, micro-polished stainless steel bull horn handles, stainless steel controller shelf, a 2 hydraulic lid system, dual smoke stacks, and four 6” locking caster wheels. You’ve also got a bottom storage shelf, 4 snag-free tool hooks, and 4 stainless steel tie-down points. You can pre-order your BFG right now for $2,799 for delivery in May, 2019. The next new grill is the Beast RT-CMG. This monster is built with the true pitmaster in mind. It has over 2400 square inches of cooking space and includes all of the features of the BFG and more. 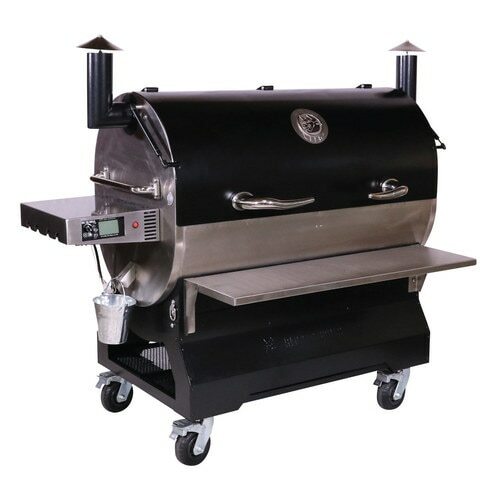 The biggest differences I see is the Beast comes with dual 66 lb hoppers to keep your smoke going up to 136 hours and its body is made out of heavy-duty 11-guage steel for ultimate durability. It also has a large viewport to view your fire pots during a cook and a mounted beer bottle opener. The Beast is so huge that it’s available for local pickup only at their Augusta, GA location. It’ll cost you $8.999 and has a lead time of 6 weeks as they’re made to order. Last but not least, Rec Tec combined the Beast with a high-quality trailer to make it easy to smoke on the go, with the Chuckwagon RT-TMG. The Chuckwagon is basically a Beast that’s modified so that it’s mounted to a trailer so that you can hook your grill up to your truck and take it anywhere you want to go! You also have the option of adding dual Bull RT-700s to the trailer for even more cooking power! The Beast plus two Bulls is a setup made in BBQ heaven! The Chuckwagon trailer is a 13’ single-axel with a diamond skid plate bed. There are three Rec Tec logos emblazoned on the trailer so you can show off your Rec Tec pride. The hitch attachment is a 2” ball coupler with locking pin and it’ll fit a 2” ball hitch. The Chuckwagon is available starting at $10,999 and has an upgraded trailer wheel option available for an additional $899. If you want to add the dual Bull RT-700s, the Chuckwagon will start at $12,999. The Chuckwagon is for serious BBQ pitmasters and is available only for local pickup with a 6-week lead time. I’m really excited about these new Rec Tec grills and can’t wait to see what else they come out with. Stay tuned to GearDiary where we hope to cover Rec Tec grills with a hands-on review this Spring.